Come and join us in the beautiful south east of Ireland, with great driving and traffic free roads, beautiful scenery, castles, grand houses and a bit of craic! 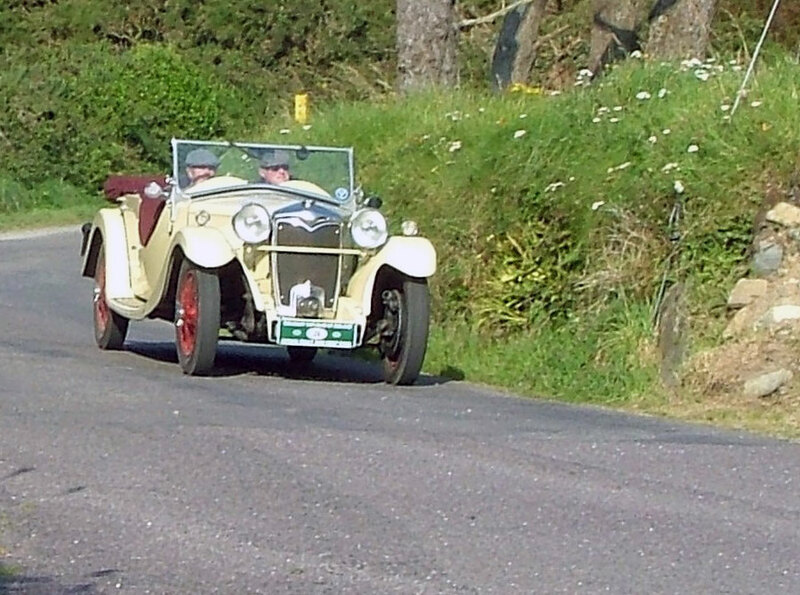 The Shamrock Vintage Challenge, is a 3½ day regularity event with special tests, designed for pre-war cars, with smooth roads, and no night driving. The pace of the event has been set to suit these cars, and though competitive, there will be plenty of time allowed at the various stops for socialising. We will visit some lovely private farms and estates for manoeuvrability tests and refreshments before chasing the magnificent sights and views that this part of Ireland is renowned for. For those who dislike living out of a suitcase, the event will run out of just two hotels, our first night will be in Dungarvan, Co. Waterford, and our next three nights will be in the magnificent five star Lyrath Estate Hotel in Kilkenny. There will be a free baggage transfer from Dungarvan to Kilkenny, so you don’t even have to carry your own bags. For entrants from outside Ireland the hotels are just over an hour from Roslare Ferry port. The event is being organised by a team of seasoned competitors with long experience in both national and international rallying. Mickey Gabbett, competing in historic motorsport both at home and abroad for more than twenty years, has been involved with running events for nearly as many years. Mickey has a unique access to many of Irelands stately homes, and we will be visiting these venues for tests and coffee breaks. Michael Jackson, has been competing since the early seventies, and organising events for the last twenty years. Has served as Clerk of the Course for The TDC Retro rally, and is currently Clerk of the Course for the Gordon Bennett International rally. 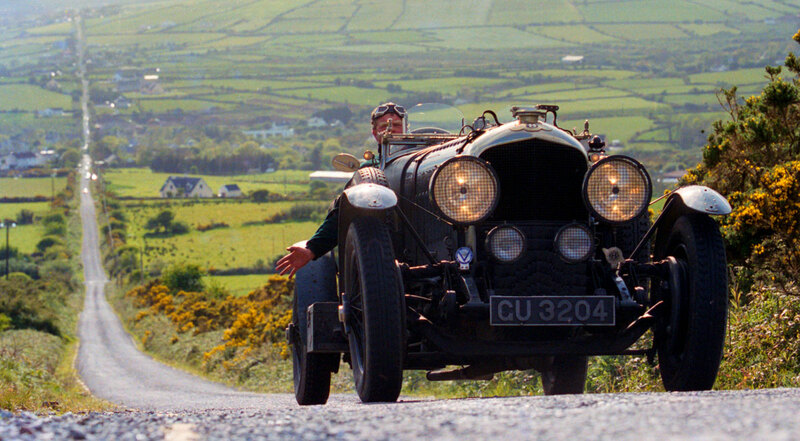 Shane Houlihan, competing in vintage events world wide, is a highly experienced competitor and has acted as an ambassador for early motorsport in Ireland. 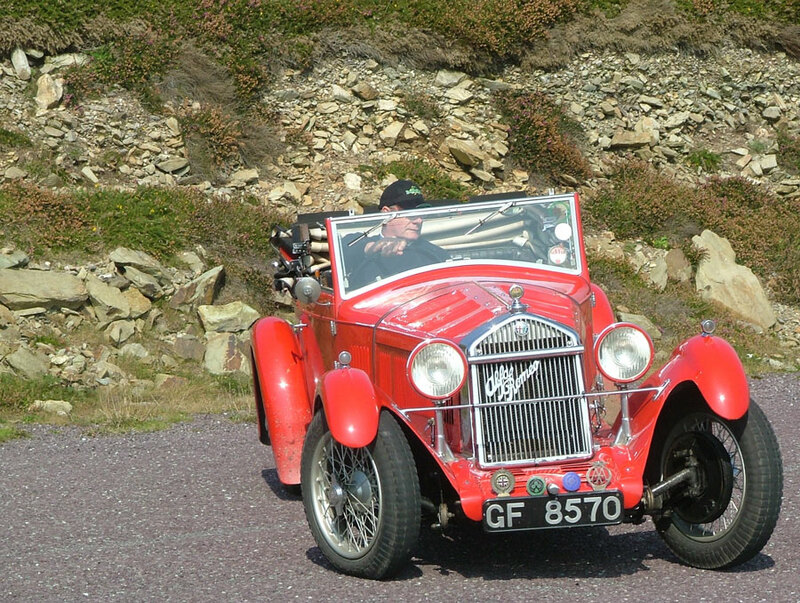 Currently President of the Irish Vintage and Veteran Car Club, Shane has been organizing and running events for early cars for a number of years. Overall, this team share a passion for the older car and competing in them. Having spent many years competing abroad, they are convinced that Ireland is the ideal base for this kind of event, with it’s uncluttered roads, unique scenery and relaxed atmosphere. It is intended that the event should be suitable for crews of all abilities, but some previous experience might be a help. Each crew will be equipped with a road book with route directions given by way of tulip diagrams, this is the simplest form of navigation and should not cause any problems. The navigation for the regularity sections will be given in various ways, including marked maps, narratives, grid references etc. This will all be straightforward, with no faded maps or other tricks. A GPS reference will be given for the end of eachregularity, so, if any competitor should get lost, they can simply find their way to this point, and pick up the tulip instructions again. 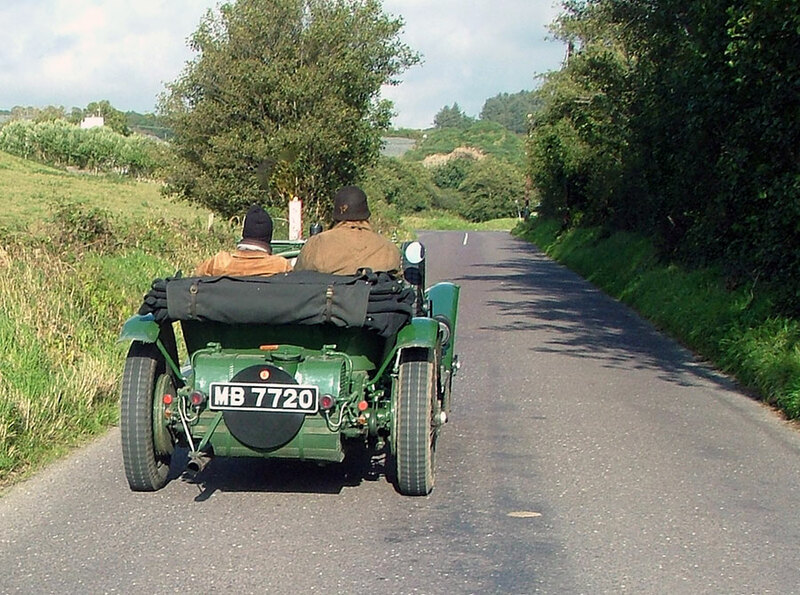 All pre-war (pre-1940) cars are eligible, with separate classes for various ages, body types, engine sizes and specials. A working odometer will be required, and to this end a modern odometer, such as Halda, Brantz, Monet etc., may be fitted, as long as it simply records distance. Details for cars, classes and equipment will be given in the regulations. Our official assistance crew is the best known and the best in the business. Peter and Betty Banham have kept more cars going on events than anyone imagines, hopeless cases have been brought back to life, again and again. Everyone is delighted to have them on board. But competitors should be self-sufficient and capable of repairing their own cars and the assistance crew will not be driving the route but will be available at the hotel and at refreshment breaks. In addition, and in the rare cases where the assistance crew is defeated, there will be a breakdown truck on hand to bring any stricken car back to the hotel car park. The entry fee is an all inclusive charge. It covers 4 nights B&B in the hotels, based on two people sharing either a twin or double room. All lunches, coffee halts, a special evening out at Castle Blunden, Kilkenny, and the Gala dinner/prizegiving. There should be no further costs for entrants other than fuel for their vehicles, and fuel in the bar! Also there will be one evening where entrants are free to make their own arrangements to dine out in one of Kilkenny’s many superb restaurants. Transport costs to Ireland for those entrants coming from abroad is the responsibility for those entrants. A package is being investigated and will be offered in due course. You can view and download the regulations for the Shamrock Challenge 2018 here. Please contact us if you have any queries. You can download the Shamrock Challenge 2018 entry form here.